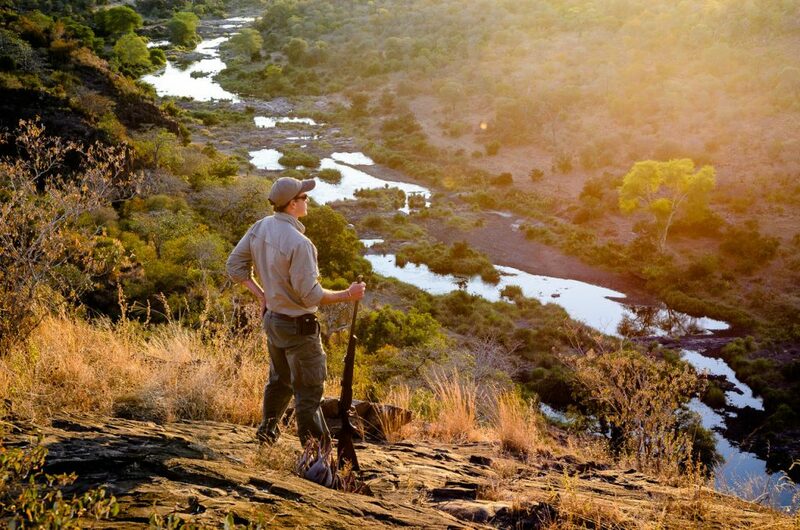 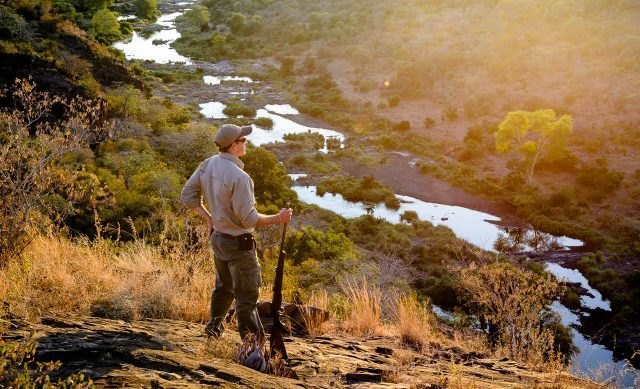 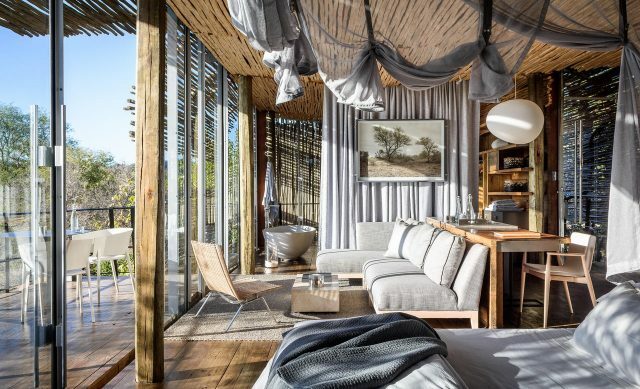 Get up close and personal to astonishing African wildlife at Singita Lebombo Lodge – just by getting out of bed. 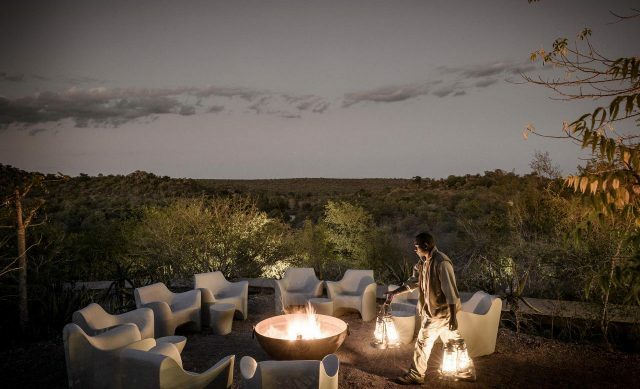 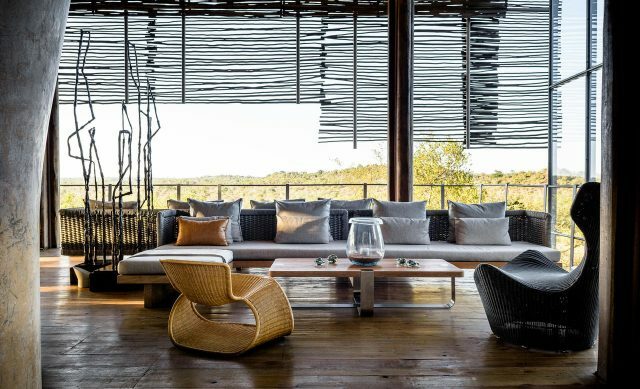 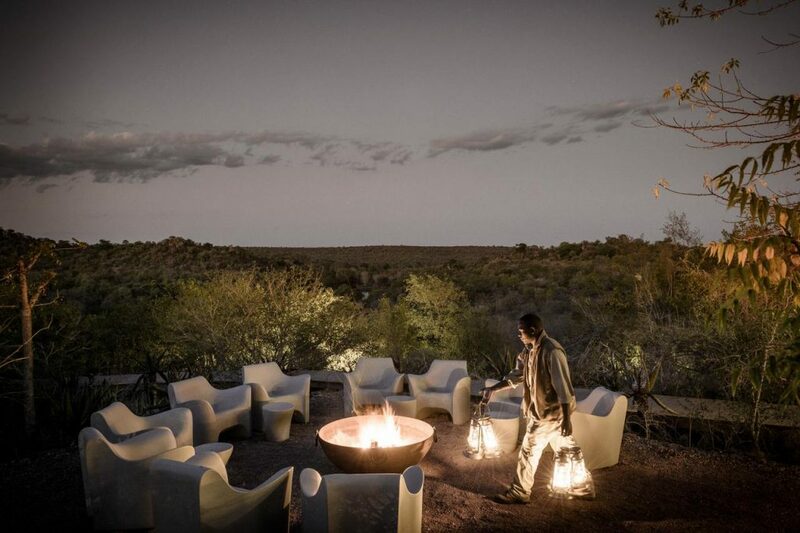 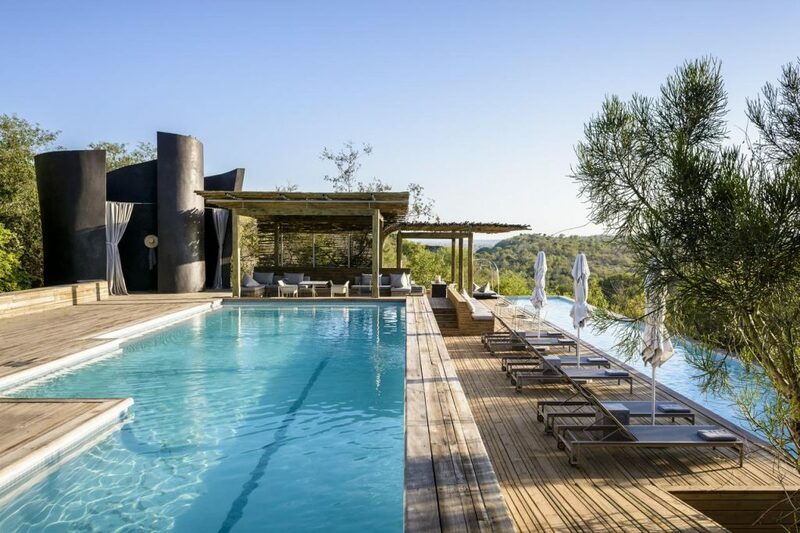 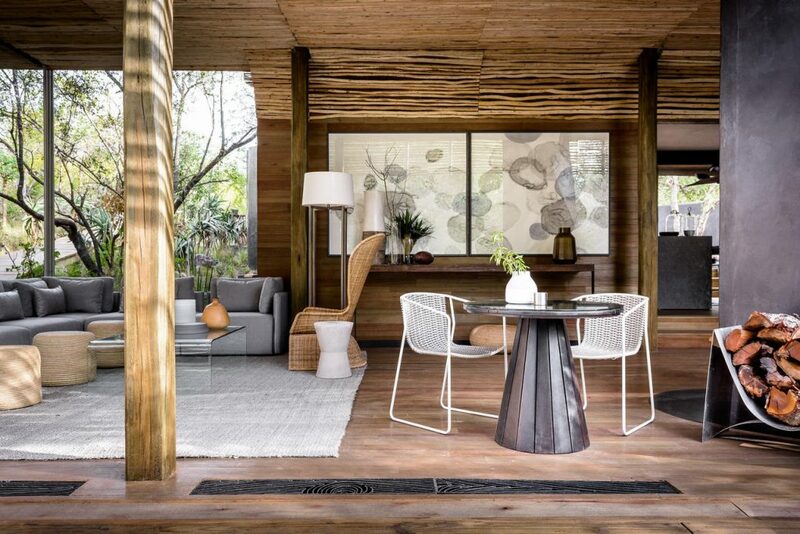 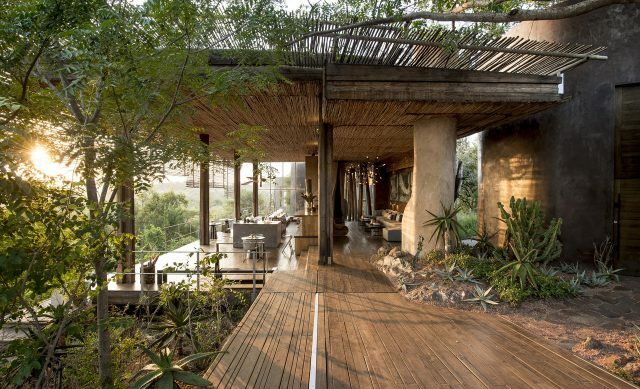 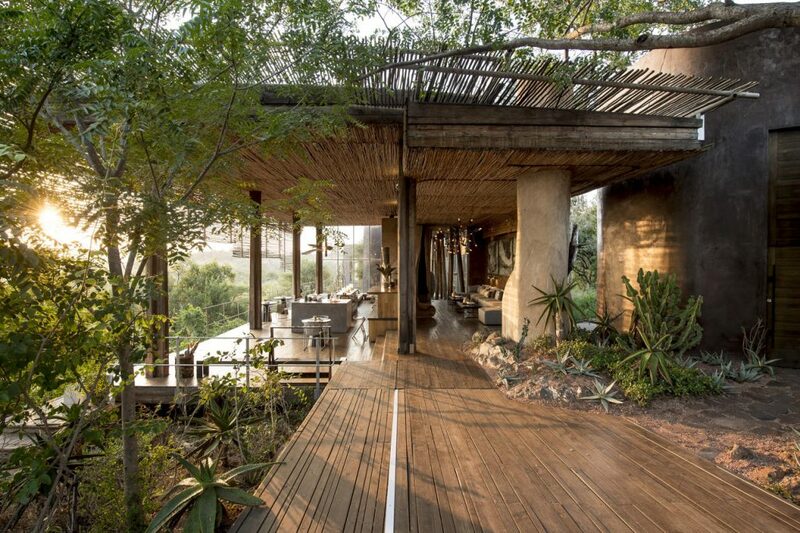 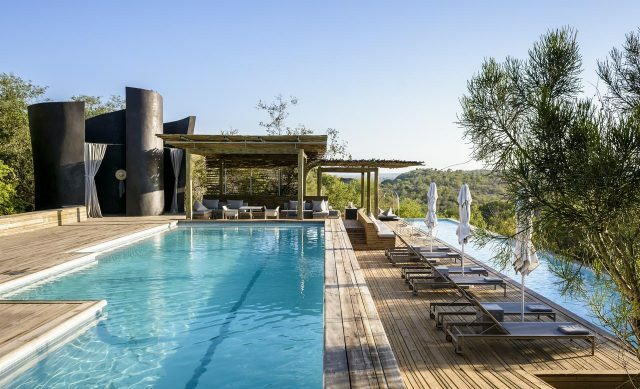 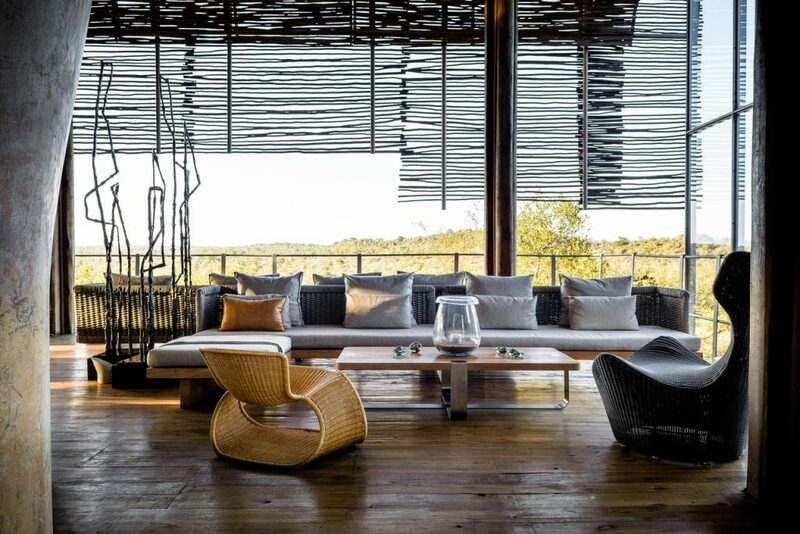 Singita Lebombo Lodge is an architectural icon in the safari world. 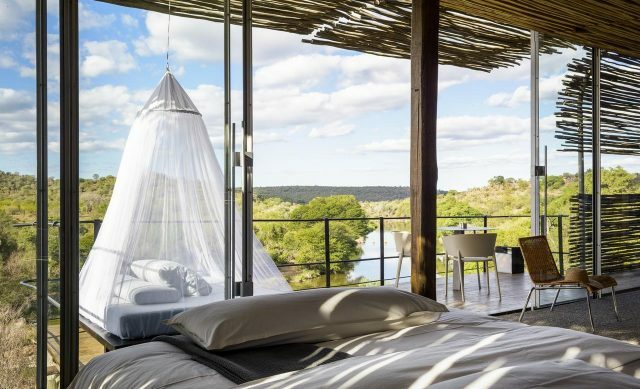 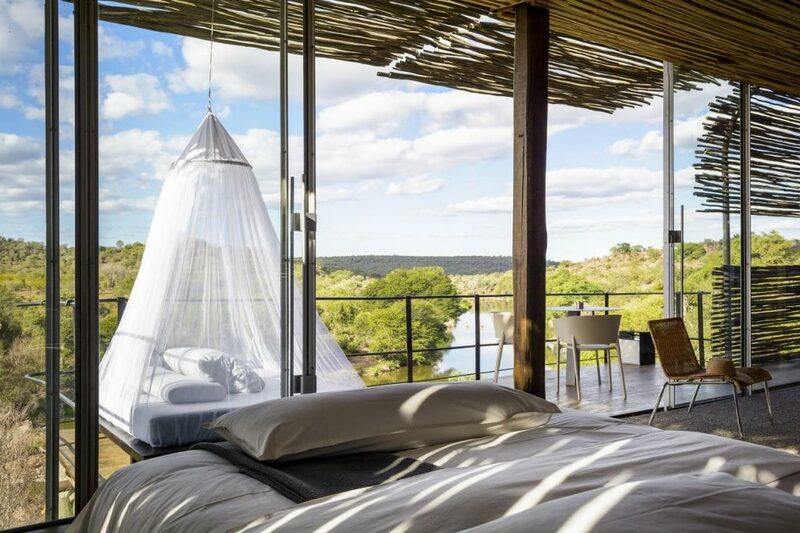 Inspired by the perching nests of eagles, the 15 glass cuboid suites cantilever out from the rock face and offer panoramic vistas across the Sweni River and climbing hills beyond. 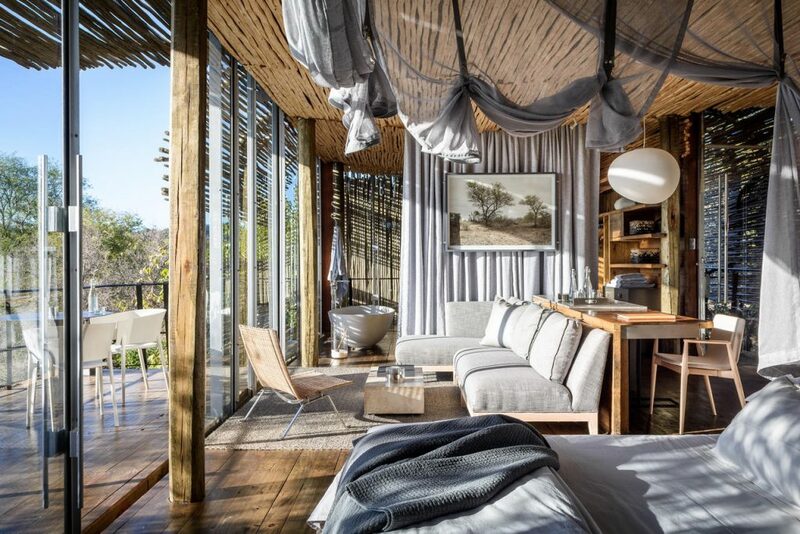 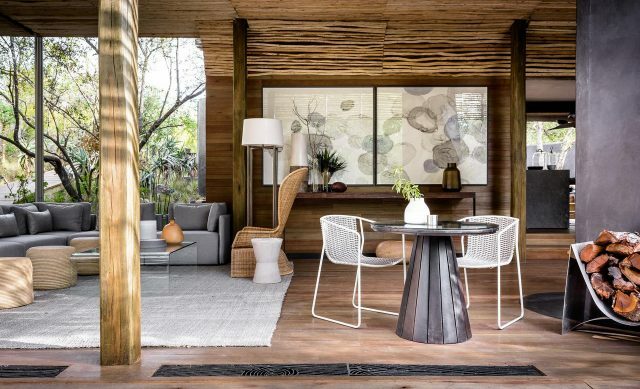 The interiors are as spectacular as the lodge’s dramatic situation: lavish lounging, dining and pool areas and cutting-edge contemporary style which fuses glass, slatted wood and bleached branches with natural, textured fabrics and luxury amenities.